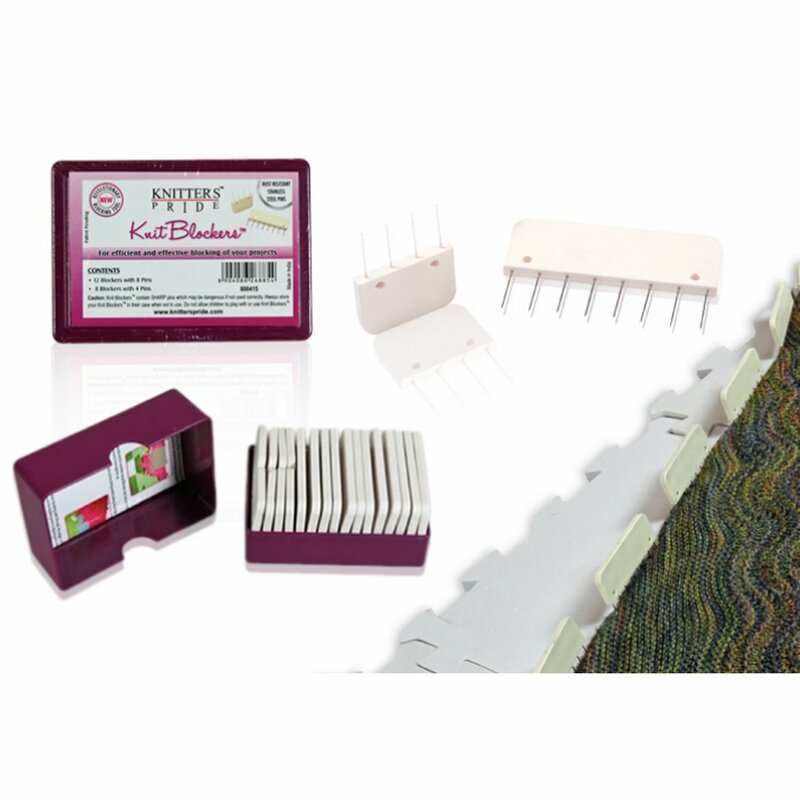 Designed by knitters for knitters, this ingenious product is guaranteed to speed up the blocking process for knitters and crocheters alike! 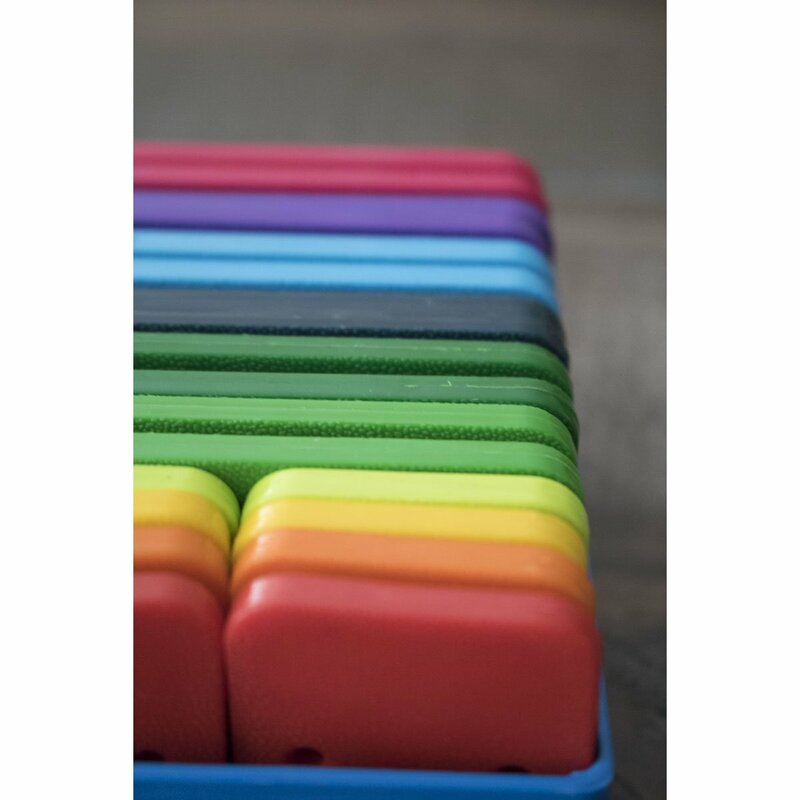 You'll find that these handy tools help maintain even tension across the width of the blocking pins, perfect for blocking straight edges on sweaters, scarves and shawls! 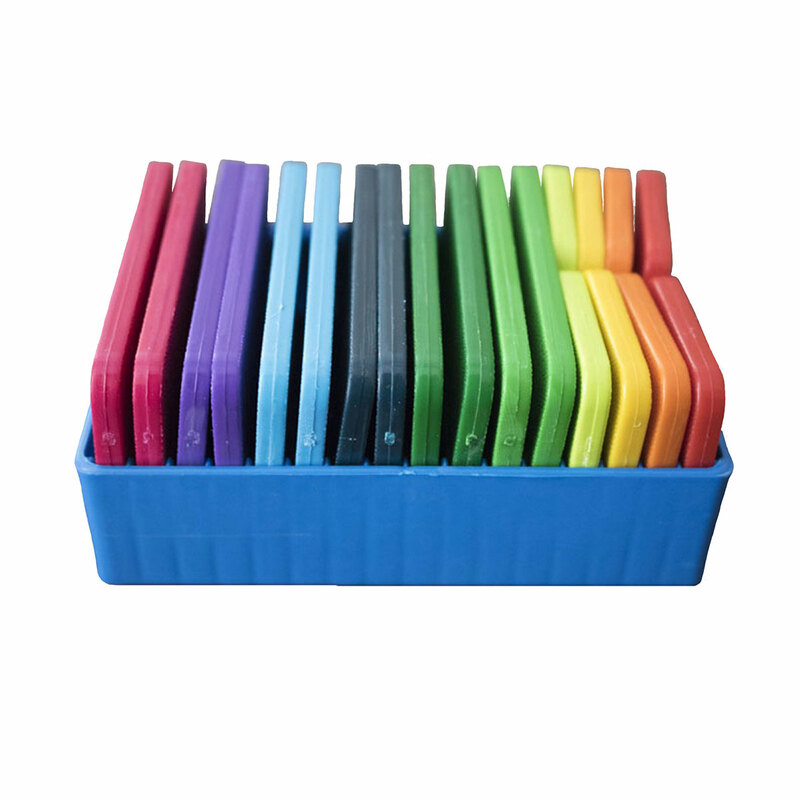 You can even attach string from the anchor holes along large sections which can be pulled and pinned to the desired tension. 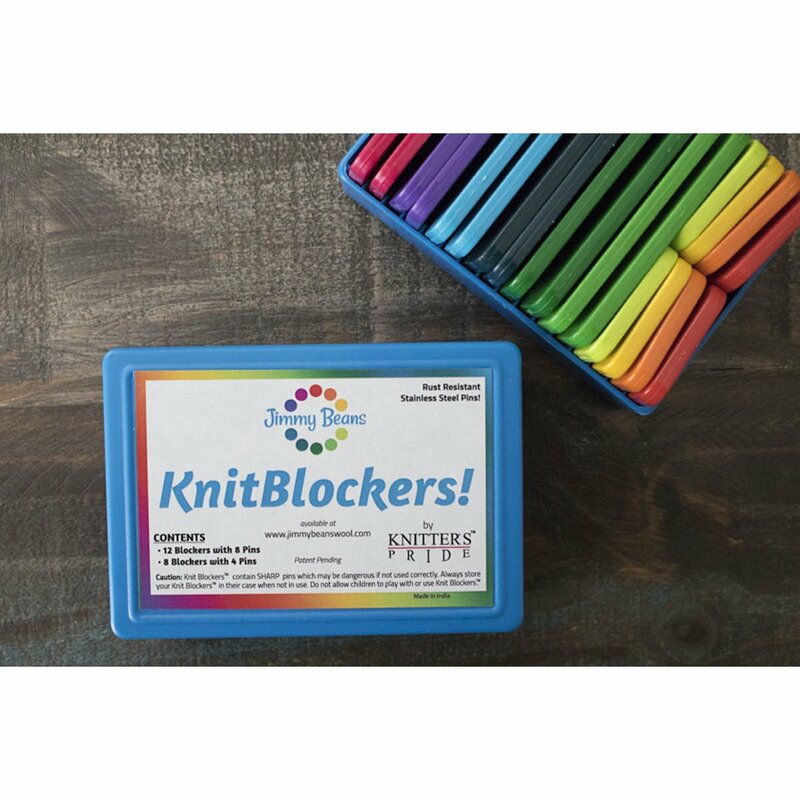 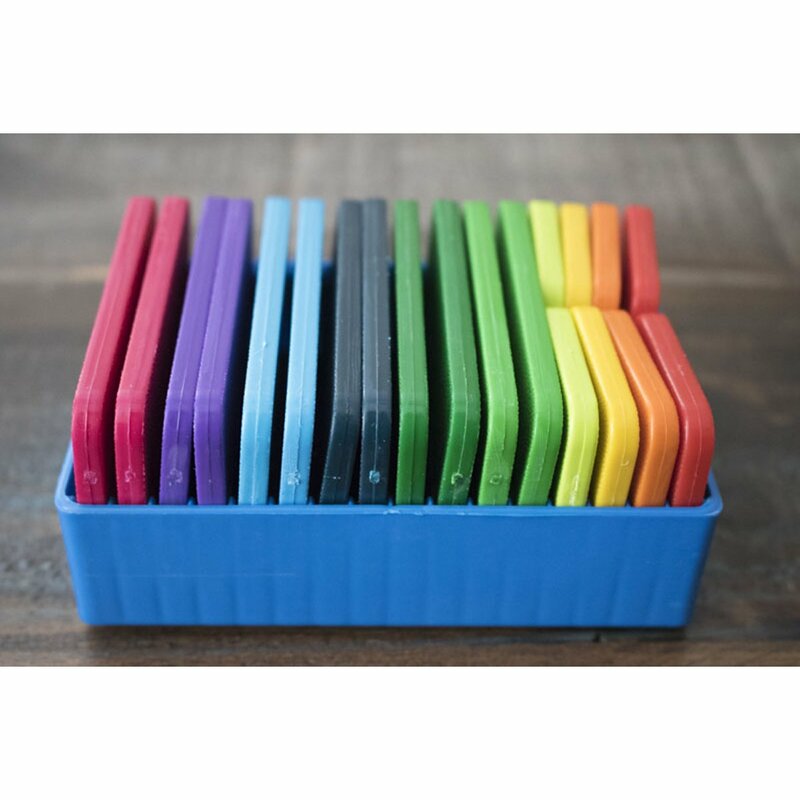 The Knit Blockers kit contains 2 different sizes to accommodate different shapes while blocking, each made with strong plastic fitted with sharp and sturdy stainless steel pins that are rust resistant.